This week we have a talk by Microsoft. 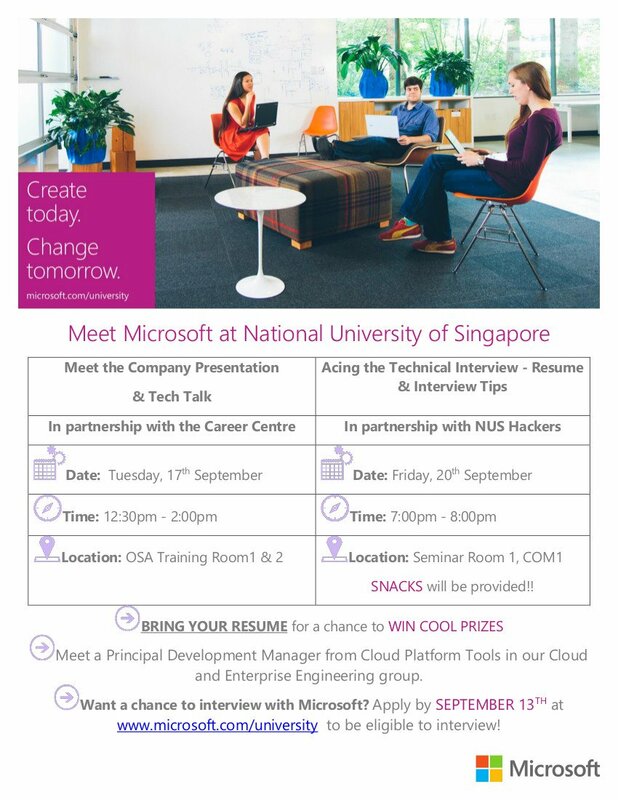 Do note that we’ll be in Seminar Room 1, COM1 (NUS School of Computing) instead of at University Town for this session! Date/Time: Friday, Sept 20 at 6:30pm Venue: Seminar Room 1, COM1, School of Computing Free pizza is served before the talk. In addition, Microsoft will also be raffling off a Surface at the talk! Register here to be entered into the draw.